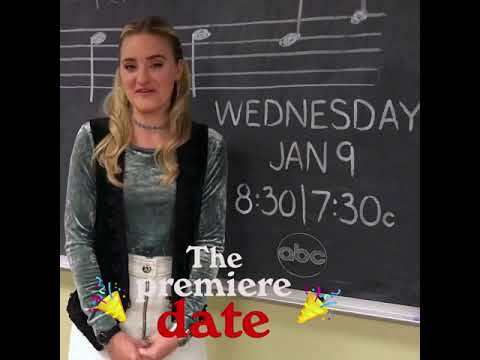 "Schooled," a spinoff of the hit comedy series "The Goldbergs," will make its premiere on The ABC Television Network, WEDNESDAY, JAN. 9. "Schooled" will air Wednesdays at 8:30 p.m., following "The Goldbergs." "Schooled," set in 1990-something, follows the hilarious faculty of William Penn Academy, led by new music teacher and WP graduate Lainey Lewis (AJ Michalka), Principal Glascott (Tim Meadows), Coach Mellor (Bryan Callen) and young, enthusiastic super-teacher Charlie Brown, or CB for short (Brett Dier). Despite their eccentricities and crazy personal lives, these teachers are heroes to their students. Schooled Season 1 was released on 43d ago in the UK. Notify me when Schooled Season 1 is available.